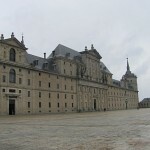 El Escorial was the residence of the king of Spain during the reign of Philip II, who reigned from 1556 to 1598. This site was declared a World Heritage Site by UNESCO in 1984, and it is often mentioned as the most popular attraction in Madrid (more than 500,000 visitors a year). It is though important to know that El Escorial is located 45 kilometers outside Madrid. The easiest way to reach El Escorial is joining a tourist bus, but this can cost quite a lot of money. A cheaper solution is to travel to Moncloa (using the metro in Madrid), and take a bus from there to San Lorenzo la El Escorial. This bus ticket costs around 3,50 Euro and from the bus stop it takes 5 minutes to walk to El Escorial. The entrance fee into El Escorial is 8 Euro for adults. Inside you can mostly see tapestry and paintings, and get quite a good feeling of what El Escorial looks like on the inside. 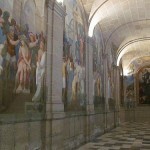 The Basilica of El Escorial can be visited for free. 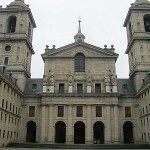 The Monastery in El Escorial is still at use, and monks of the Saint Augustine order resides there. If you want to enter into the monestary, you can read more about entrance fees in this article. If you want to join an organized tour, you can register for a trip at Viator.